Just peal of the sticker and attached it to your phone, tablet or GPS. Or insert it in your phone case. Click "Add to Cart" yellow button above and get it now for you! - Cell pads sticks to almost anything: plastics, metal, glass, ceramic tile, plank, mirror, marble, etc. - Use it as an auto gel holder. Anti-slip gel pads (cell pads) are perfect for dashboard mounting. - With anti-slip grip pads you can fixate small or fragile items like vases, glasses on surfaces where there is a risk that your toddler might hit, break or spill the content. Both sides of super sticky gripping pads are made of the same adhesive material. So both the SURFACE and the ITEM you are going to fix have to be perfectly clean, dry and even. If the gripping surface gets clogged with fine dust, please rinse the gripping mat with water and let it dry to renew its tackiness. To hang a poster or a picture use at least 4 gripping pads in each corner. Sticking to PAINTED walls is NOT recommended. Strong adhesive material may damage the paint. Please, do not try to stick gripping pads to fabrics, uneven, wet or dirty surfaces, whitewashed, lime, brick or painted walls, etc. - Note, Super Sticky Anti-slip gel pads do not tolerate extreme heat. So, try not to use silicone sticky gel pads under direct sunlight or in places where the temperature exceeds 115 F (45 C). 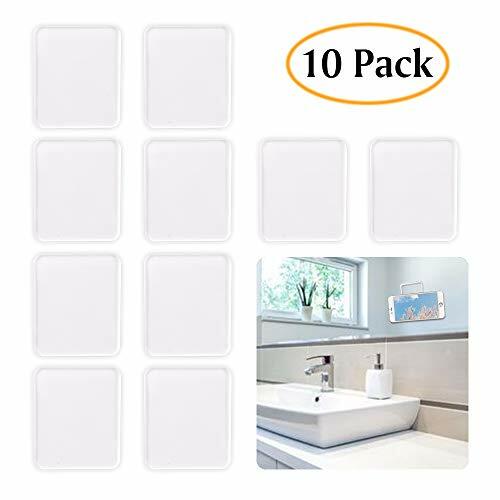 * HOW TO USE 10 SUPER STICKY GEL PADS CLEAR to organize, decorate or tidy up space around you (workplace, car dashboard, kitchen or the entire home). Clean the surface with an alcohol wipe and let it dry. Remove the first protective film, align the gripping mat and stick it to the surface. Remove the second protective film and stick the item you wanted to hang, fix or immobilize. * NO TRACES OR STICKY RESIDUES. Used properly Super Sticky Cell Pads don't leave a single trace or residue on your cell phone, furniture, walls or other surfaces. Before use, please, make sure the surface is perfectly even and clean to stick your Cell Phone Mat. * MULTIPLE USE. Sticky silicone gripping pads can be used multiple times. Just wash the sticky gel mat with water, dry it and it is ready for use again. We have improved the formula so now the product can be used dozens of times without losing its adhesive qualities. Remember that regular use and clogging with fine dust negatively affects the stickiness. Over time, you'll have to change the mat to a new one. That's why there are 10 anti-slip gel pads in the pack. * IMPROVED FORMULA helps a new Super Sticky Anti-Slip Gel Pad to hold up to 5lbs of weight. But we recommend not to overload it in order to keep your stuff safe and sound. The recommended weight for one non-slip gel mat / dashboard sticky pad is 12 oz. 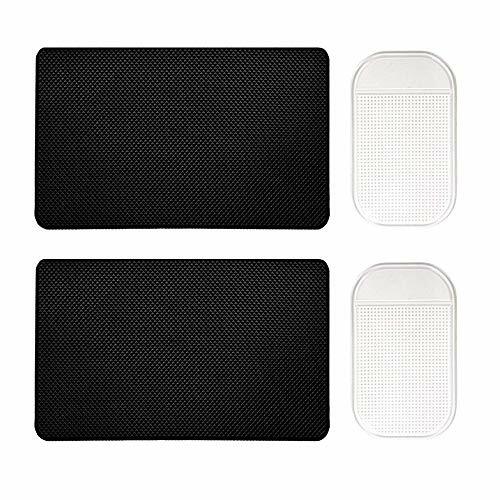 * NON-SLIP Gel mats (car pads for phone /fixate gel pads) can be used to fix objects that usually slide on the surface of the table, dashboard, shelves or often fall. In some cases, smart grip pad / gel dash mat can even be used to immobilize vibrating objects, for example, a washing machine. The optimal driving sight ensures a safe and enjoyable driving experience. Suitable for most 4 to 7-inch mobile phones, such as the iPhone 8 X 7 6 6s Plus 5S SE, Samsung S8 S7 S6 Note, Nexus, Pixel, Huawei, Xiaomi, LG, Sony, HTC, and even cell phones that come equipped with an outer casing, such as the Otterbox or LifeProof; This holder is also suitable for most GPS navigators, such as the Garmin Nuvi Drive DriveSmart DriveAssist, the TomTom GO Start, the Magellan RoadMate and so forth; Suited to most vehicles - particularly SUVs such as those made by Ford, Chevrolet, GM, Subaru, Volkswagen, Benz, Cadillac and KIA. 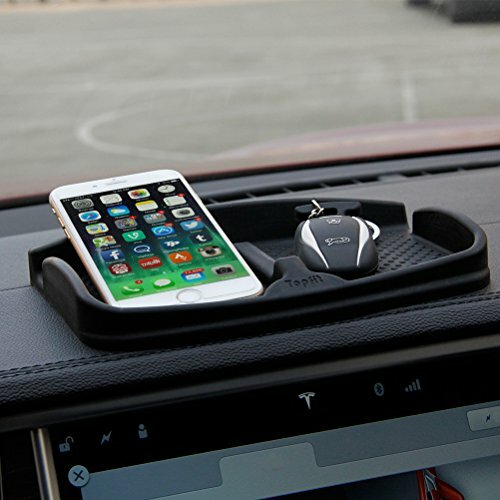 WHY IS THIS ROCKSPACE PHONE HOLDER FOR CAR BETTER THAN OTHERS? This is an air vent-mounted cell phone holder for car. It makes use of your car air vents as a perfect place to keep your phone within arm's reach for navigation and quick dialing, but still within an easy glance spot. With this car phone holder, all you need to do is simply put in and take out your phone. 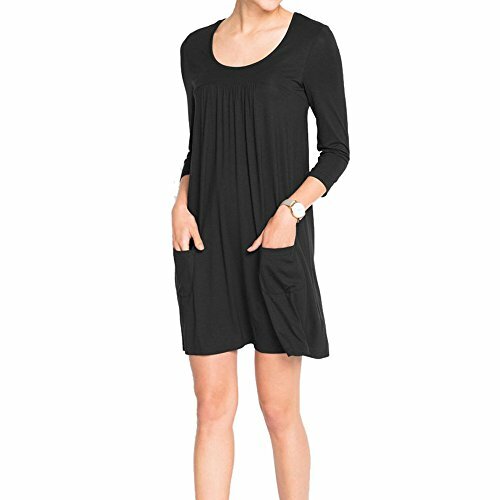 No more hassles with buttons or extra operation for placement and removal. Simply keep your cell phone stable with one-handed operation. HOW DOES THIS CAR CELL PHONE HOLDER WORK? 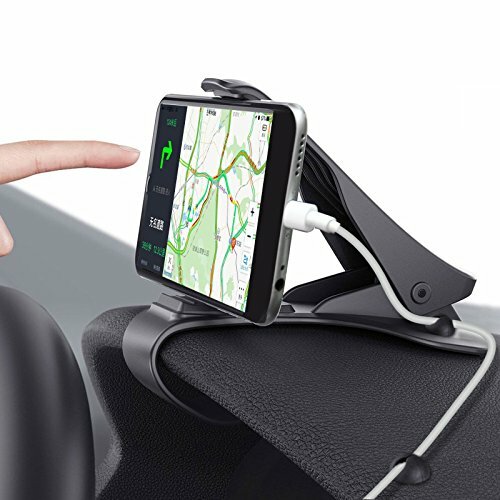 -The ROCKSPACE cell phone car holder is specially designed with gravity linkage. Once the device is inserted, the weight of the phone will drive the arms to shrink to hold it. Thus all lock and release function automatically without you doing any work! WHY DO I CHOOSE ROCKSPACE? - We strongly believe we can only grow with 100% happy customers. That's why we have a team ready to answer your questions. Just contact us via Amazon order page and click "Contact Seller". Providing you with a reply within 24 hours and lifetime friendly customer service, you have nothing to worry about when you order with us. -ROCKSPACE values all of our customers. We promise no risk purchase at ROCKSPACE. We provide FULL REFUND or FREE REPLACEMENT for any defective item. Want to have it tomorrow? 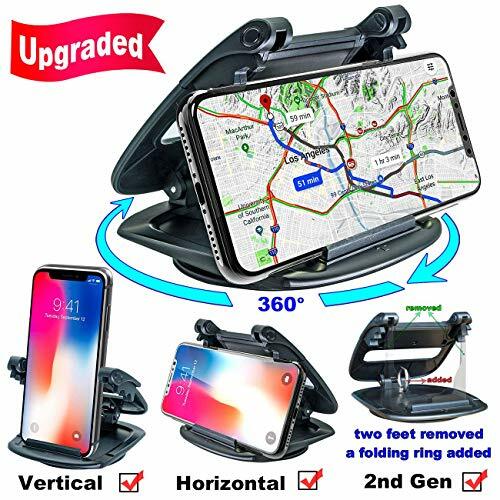 -Click "Add to Cart" NOW to buy your car phone holder TODAY and enjoy an easier and more relaxing experience on your drives! UNIVERSAL COMPATIBILITY - Universal magnetic Phone holder Designed for 4 - 6inch IOS/ Android smartphone even with a slim case, like Iphone X/ 8/7/7S, iPhone 6s / 6 Plus / 6 / 5s / 5 / 5c, Samsung, HTC, Huawei, LG, Sony, Nexus, Nokia, GPS devices. EASY INSTALL - One handed install upgrade auto lock elastic clip for mostly air vent, no tools needed. Simple installation and removal of smart phones. 360 DEGREE ROTATION - The fully 360-degree rotation air vent holder with rubber protection, comfortable angle of view serving you an enjoyable and safer driving. 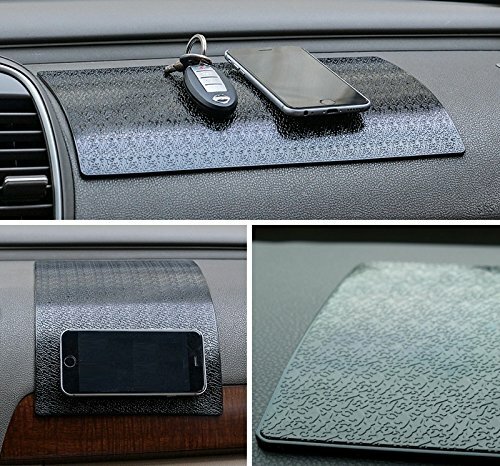 Soft rubber protects air vent and cell phone from scratches. UNIQUE DESIGN - Small size does not take up space, pleasing to the eyes, with happy mood to drive, enjoy hand free life. 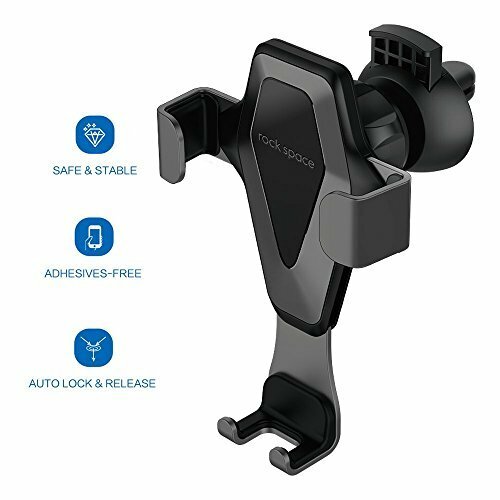 PERFECT GIFT FOR YOUR FAMILY LOVER FRIENDS COLLEAGUES - One reasonable price ROCKSPACE car mount, provide the convenient life, express you full love, You deserve to have the gravity phone car holder. -Hook type design makes more stable and tight. -With extra tiny C-shape clamps on the rubber holder to adjust angle(closer to 90 degree) to aviod the glare of the sun.See your phone screen and navigation clearly. Non-slip this holder bottom is made by anti-slip silicone, it stays put due to the silicone friction. 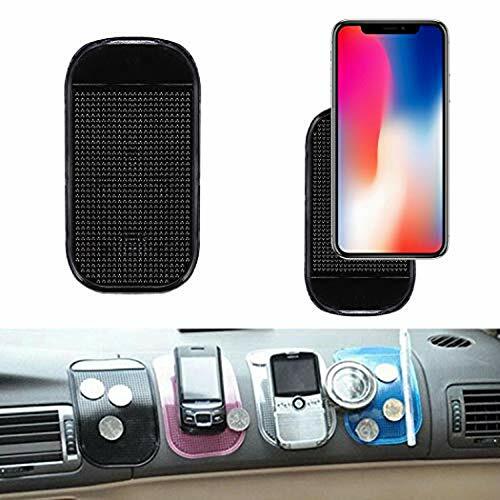 Hassle-free to move and adjustable it quickly in front of car steering wheel, on car dash/console/seat/home/office, place your phone in then adjust it in all directions to the best location in your eye level. Holds different phones two pairs of rubber holders compatible with phones' Thickness within 14mm, the slide ways for the rubber legs Are inserted with sheet metals to offer a strong suppport so your phones stay more snugly. Phones's title angle adjustable 2 c-shaped clips on the mounting holders, move them up and down to adjust the tilt angle of your phone. Convenient simple design no long arm, magnets, suction cups, clamps, folds flat for easy storage and lightweight to carry and travel. Can mount on many places on the dashboard. Do not block driver sight. No need to lower down head to see screen.In addition to the flat surface, the holder can also be installed on spherical convex surface and U-shaped concave surface(Please search aneaseit in youtu for installation video). Two kinds of stickers on the rotatable baseplate can help easily mount the holder on the dashboard. No visual blind spot to ensure safely driving.For the car withuneven surface dashboard, you can purchase 3M adhesive to make the surfaceflat. No need to make any changes to your phone, even if your phone in protective case. The holder is designed without magnets, with high temperature resistance, no harm to your phones or GPS. Can be opened or closed at any time. When not in use, the closed holder is less space occupied and can perfectly combine with the car interior. The holder can be used at home or in offices. Compared to the first generation products, We have removed the two feet in vertical state from the second generation products and added a folding ring inside. It leaves the clam shell open so that you only need one hand to put your phone in the opening. Otherwise you would need one hand to pry the clamshell open and your other hand to set your phone inside! 1. When putting in and removing mobile phones, it is more convenient and stable. 2. Equipment with thick protective cases can be placed in vertical conditions. 3. Charging lines with 90 degrees bending connectors can be used at the bottom in vertical state. Stable & Safe: Hold your phone stably like a clam bite. No worrying about your phone falling easily even when making sharp turns or on bumpy roads to ensure driving safely. Easy operation: One-handed operation when in horizontal placement. Easy to put in and take out your phone in 1-2 seconds. Multipurpose: Horizontal or vertical placements can fit for various using habits. 360 degree rotatable base offers customized sight. Removable & Reusable: Use special silica gel to stick the holder baseplate onto the dashboard. No harm to the dashboard after removing and no residue on the dashboard. Silicone gel can be reused after cleaning under water and dry. It is convenient to mount on other cars. Super Compatibility: Max height for horizontal placement is 110mm (4.33 inches). Max width for vertical placement is 88mm (3.46inches). 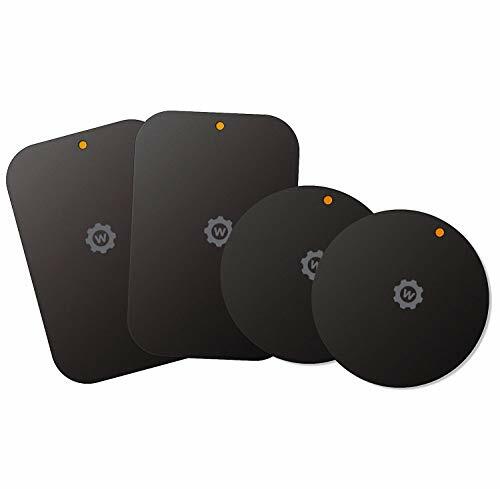 Compatible with all types of smart phones, including for iPhone X/8/8Plus/7/7Plus/6s/6Plus/5S, Samsung Galaxy S5/S6/S7/S8/Note8, Google Nexus, LG, Huawei and GPS devices like Garmin/TomTom/Navman etc. 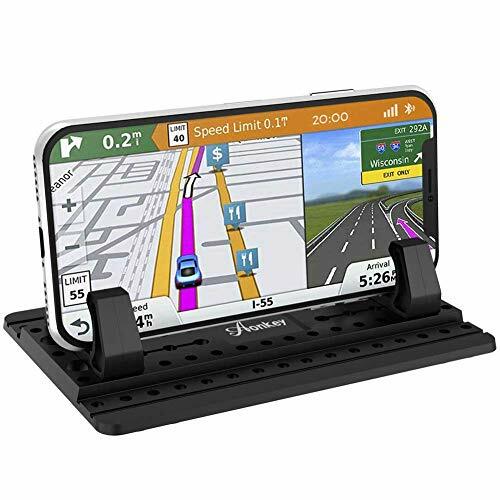 - GPS navigator, like Garmin Nuvi Drive DriveSmart DriveAssist, TomTom GO Start, Magellan Roadmate etc, and any other handheld devices less than 7". - Audi, truck, Uber, Toyota, Wrangler, Jeep, Ford, Chevrolet, GM, Subaru, Volkswagen, Benz, KIA and so on. - Can hold phones in heavy case, phone ring holder. - Multi-purpose phone holder: Besides used in the car, also can be used as a phone holder for meeting, movie watching, music playing and so on. - Contact us in priority via email whatever problem you meet, we will provide satisfied solution within 12 hrs. 2018 Upgraded Compare to old version, 5 sticky points are added at the bottom, so the holder workable on curved dashboard too. Also easily removed from one place to another as new by flashed under water. WIDE COMPATIBLE Fits various dashboards Include curved uneven dash surface and most device from 3 to 7 like compatible with iPhone Xs/Xs Max, Xr, X, 8/8 Plus, 7/7plus, 6S/6S plus, 6/6 Plus, Samsung Galaxy Note9, Note8, S9/S9 Plus, S8/S8 Plus, S7/S7 Edge, Google Pixel 2 XL, GPS device like Garmin, TomTom. Stable and Secure 5 sticky points to ensure a strong adsorption without leaving any marks. Adjustable rubber holders mount your phone more stably and tightly even when taking a sharp turn, sudden stop or emergency brake. ENVIRONMENTAL MATERIAL Non-toxic and tasteless silicone, heat-resistant never be melted in the high heat summer or leaving any marks on your dash. EASY USE& QUALITY ASSURANCE Easy to operate with one hand. simply insert the two bases into the console pad to adjust the width optionally, convenient and practical. whatever reason you don't like our car phone mount, we will refund every penny or replace it without any question asked. HOW TO USE: The Car Mount can fix itself stably by clipping the edge on the dashboard then fasten the phone in front of the driver without blocking of sight. HUD SIMULATING DESIGN: The design of this car phone holder is based on Heads Up Display equipped in high end car.Offer you a way to use phone while driving,for example use GPS and listen music. By the way,you can make it more desirable via adjusting the angle of the phone and the holder as you wish. SAFE IN DRIVING: This cell phone holder is small mass as well as it would not blocking line of drive sight in the car when fixed it on the dashboard.When you are driving, the car clip is convenient that you can operate it by one hand.What's more,with the Cable Clip Holders,the phone wires will be put in order that would not holdback your driving. APPLICABLE FOR: The Car Mount holder is fit for the phone with size of 3.5-6.5 inches,and suitable for iPhone 7, 7 Plus, 6, 6S, 6 Plus, 5S, Samsung Galaxy S8 Edge S7 S6 Note 5, LG, Nexus, GPS. DURABLE AND GUARANTEE: The HUD Car Mount is made of ABS material,durable,flexible and heatproof. Please Be Assured Use and we offer one year guarantee.Notice: Please check the car model and phone model in the product description to make sure whether the car phone holder meets your need!! * Fit for most 3.5 -7 mobile phones, even if cell phones in case, you can use directly no need to take off. * Work for Most GPS navigator, like Garmin Nuvi Drive DriveSmart DriveAssist, TomTom GO Start, Magellan Roadmate, etc, and any other handheld devices less than 7 . 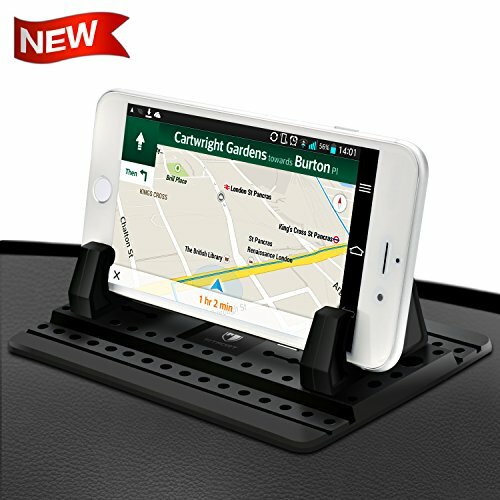 [Car Phone Holder] - A pad and two rubber holders get things going. 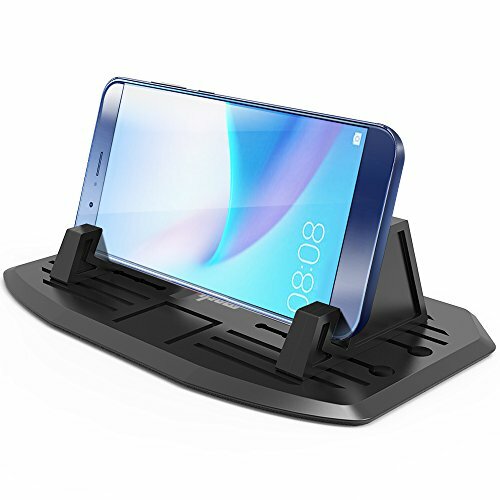 The car phone holder can be moved (2.36-5.12 inches/6-13cm) to fit phone or GPS devices from 3.5-7 inches, such as iPhone X 8 7 Plus, Samsung S8 S7 S6 Note, Nexus, Huawei, Xiaomi, LG, Sony, HTC or other devices. Easy to operate with one hand. [SAFETY] - 5 sticky silicone gel points (won't melt) added on the bottom, mount your phone more stably and tightly even when taking a sharp turn, sudden stop and in emergency brake. [ADJUSTABLE DESIGN] - The car phone mount will not block the driving sight when fixed it on the dashboard. Your phone can be put in horizontal and vertical ways, but horizontal placement will be more stable than vertical. [MULTI-FUNCTIONAL USAGE] - The phone holder can be used to place other suitable items, can be used in the car, office, and room for meeting, movie watching, music playing and so on. [DURABLE & FIVE STARS WARRANTY] - The car mount is made from high-quality silicone material, it is wear-resistant, durable, washable and reusable. Boasts a long lifespan. 45 Days Money Back. One Year Guarantee. Anti-slip cell phone pad for car dashboard is essential for our car owner. 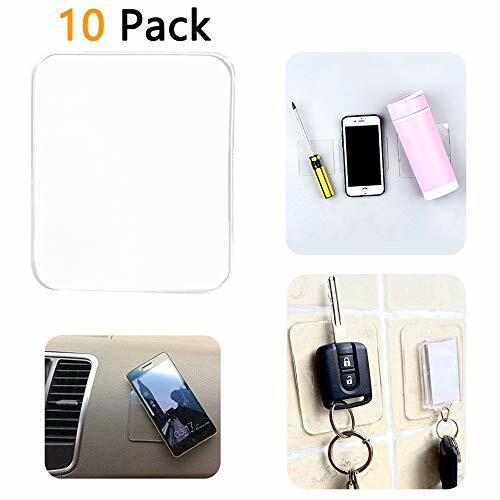 Mini-factory sticky gel pad for dashboard excellent interior car accessory for phone, perfume, key, coins, glasses, perfume bottle and other small gadgets/decorations. Extra large size built to holds anything reusable: Clean with soap and water to renew stickiness, excellent interior car accessory . Magic sticker or Carpad, Super sticky silicone is the new best selling product in the world in 2019. -05 Super sticky silicone double-sided adhesive stickers in each pack; -Dimensions: 75mm*64mm*2.5 mm; -Sticky silicone pads have no unpleasant odor; -Double-Sided sticky anti-slip gel pads; -Washable and reusable sticky gel pads clear (non-slip gel mats); -Sticky cell pads sticks to almost anything : plastics, metal, glass, paint, ceramic tile, plank, mirror, marble, etc. -Please, note, Magic sticker - Super Sticky Anti-slip gel pads do not tolerate extremal heat. So, try not to use silicone sticky gel pads under direct sunlight or in places where the temperature exceeds 115 F (45 C). 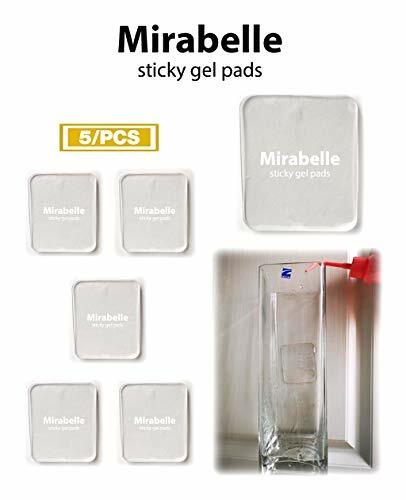 -You can stick carpad to your glass or a tea cup to avoid unwanted spills of liquids at your workplace; -You can stick Anti-Slip Gel Pads to your make-up brushes, cosmetics or kitchenware to organize the space and avoid cluttering; -You can use magic sticker as an auto gel holder. Anti-slip gel pads (cell pads) are perfect for dashboard mounting. -Magic sticker is a perfect product at an affordable price but the utility is so much, you can create many different uses, all depending on you. HOW TO USE 05 MAGIC STICKER | SUPER STICKY GEL PADS CLEAR to organize, decorate or tidy up space around you (workplace, car, kitchen or the entire home). Clean the surface with an alcohol wipe and let it dry. High quality fixate Carpad | GEL pads - Durable, strong stickiness, strong plasticity, flexible use.Can be fixed on almost all smooth surfaces. NON-SLIP Gel mats can be used to fix objects that usually slide on the surface of the table, shelves or often fall. In some cases, gel pads can even be used to immobilize vibrating objects, for example, a washing machine. How To Use - Super sticky pad are super easy to use and make hanging any object much easier. Simply peel off the backing from the Pad and stick, and pads will hold the object tight. If you don't like it simply remove and reposition. They also come off as easily as they go on leaving no stick or messy residue behind. Each pad holds up to 8 pounds, so you'll be able to hang all of the objects that you have. 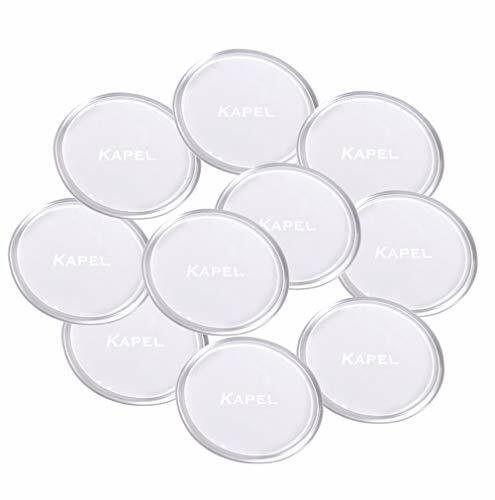 These soft gel pads are very useful in our daily life and in travel, you can use them to stick anything at anywhere, such as phone, water cup, sunglasses, keys, mirrors or metal in the car, table ,carpet or some other places, and they are also really effective to remove the pet hair, dust on clothing and computers. 1.Super sticky pad, it can stick anything at anywhere. 2. Easy to clean and reuse for many time. 3.Do not leave residue when you remove it. 4.Universal gel pad can be installed easily and quickly. 5.High-quality and environmental materials of PU gel, long lifespan. 1. Before installing it, please keep the contact surface of gel pad clean and dry, you can use the magic gel pad sticky on many surfaces. Please notice that it is not suitable on lime wall, rough surface, granular surface. 2.Please avoid putting some valuable or irreplaceable items on this sticky adhesive pads with prolonged vertical or inverted paste for a long time. 3. The double sided sticky pads do have strong stickiness, but if the object you are trying to hold is really heavy, you should use more than one gel pad holder to securely hold your object to the desired surface.The contact area is bigger, the object will stick on fixable gel pad more firmly. 12 months warranty & within 24 hours quick-reply.We guarantee our customers premium quality and 100% satisfaction with our products. Any inquiry please do not hesitate to contact us, friendly and easy-to-reach customer service support are provided by us all the time.100% RISK-FREE, ADD TO CART NOW! SUPER STICKY PAD Durable & Malleable PU gel, Lightweight & Portable, Non-toxic & No peculiar smell, this gel adhesive pad can be cut down to smaller pieces, safe to use between -20 ~ 120 . Easy to remove, can stick any object anywhere, in second! WASHABLE & REUSABLE When the anti-slip pad gets dirty, you can wash it with warm water and dry it to regain its stickiness. This fixable gel pads can be used for many times, and will not leave any residue or damage to whatever you stuck it on. PAY ATTENTION Please keep the contact surface of the sticky gel pads clean and dry. Press hard gel pad holder for 5 seconds after sticking. Follow the instruction, do not intended for rough, oily, delicate or granular surface. Avoid to put some valuable or irreplaceable items on the gel pad holder for very long time with prolonged vertical or inverted paste. Keep your place / home / desk tidy, clean and free of mess. Those gel pads let you hang pretty much any handy item on the wall without the need to install any hook nor drilling anything. Extremely durable and reusable To remove the pad, simply gently pull it from the surface, it will not let any residue. Thanks to its reusability, our gel pads have an extended life time, all you need to do is to rinse in with warm water, let them dry and voila, all good. You will get 10... yes 10 pads for less aht $10. UNLIMITED LIFETIME USE, WASHI IT, THEN LIKE NEW. Fading stickiness? No problem, wash (rince) it, let it dry up then like new. Brand: kapel | Manufacturer: Xiamen Easy Gel Technology Co., Ltd. 3.) Each pad holds up to 15 pounds, so you'll be able to hang all of the objects that you have. Washable, removable, reusable and convenient. Temperature resistant, easy to clean. 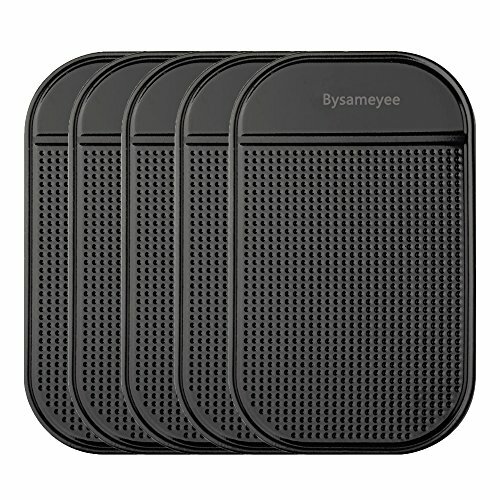 Good for placing mobile phone, MP3, wallet, keys, etc. imluckies Sticky Gel Pads are great for use in the car, stick you phone or GPS for easy viewing and charging! 1. Rental housing replacement for hooks nails, bluetack or tape. No damange and strong hold. 2. Conference and Seminar use for temporary posters and displays. 3. Fix carpets,hide keys&display items Organise remotes,chargers,and cables. Clean dirt & lint from difficult areas. Any anything else you can Think of! 4. Sticky Gel Pads smart phones & tablets to various surfaces for steady and easier Video Calling and Selfies. 5. Car and boat adhesive for smart phones,cameras & GPS during travel. 6. What can you think of? Share your ideas. It can stick your phone, pad, remote control, speakers, water cup, key stick to glass, mirrors, whiteboards, metal, kitchen cabinets or tile, car GPS etc. To Fix Anything, Anywhere. It can be repeated washing, Can be reused! And have an extended lifespan. Thin and malleable, which makes them great for sticking unusual or irregular shapes as well as hiding keys, organizing cables and sticking Go Pros to skateboards! Anti-slip mat, clings to your dashboard or center console and clings to anything that's placed on it. Your cell phone, sunglasses or anything placed on the Sticky Mat will not slide off. Strong Sticky: Made of strong, durable and malleable PU silicone gel, strong fixed on the surface of the object. No adhesive or magnet needed. Removable, Washable and Non-stick Oil: You can remove it from here to stick to there and wash it if needed. Perfect size: 5.5 x 2.9 Inch (14 x 7.5 cm). At this modest size, you can stick almost any gadget when you are driving, let's go for hands-free. 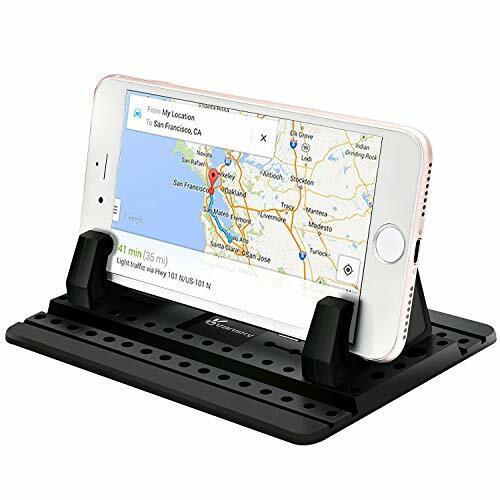 Widely Use: Dash Cell Phone Mount Navigation Holder Mat for Huawei Google Nexus 6P; LG Google Nexus 5X; Apple iPhone X / 8 / 8 Plus 7/ 7 Plus / 6S/ 6S Plus; Galaxy S7 Edge/ S7. Holds not only Cell Phones, but Sunglasses, Coins, Golf Cart, Boating, Speakers. Note: Please do not use in flannelette or rough surface. Please keep the contact surface clean and dry, follow the caption strictly, not intended for a rough, oily, delicate or granular surface. Avoid putting items on the gel pad for very long time and avoiding putting some valuable or irreplaceable items on it. TuNan 4 Pcs Car Dashboard Pads Non-Slip Mat, Anti-Slip Ripple Sticky Dash Grip Mat for Coin Cell Phone Key GPS Sunglasses, Large/Black 10.6" x 5.9", Small/Clear 5.6" x 3.3"
4 PCS Anti-slip Pads to organize and tidy up car dashboard. Washable and reusable non-slip car dashboard mat. Do not expose to sunlight for a long time. 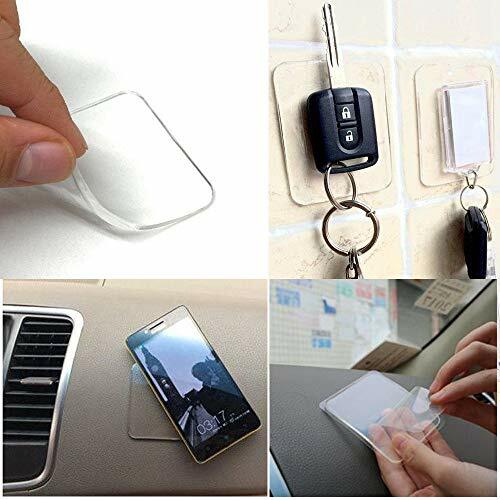 PREVENT SLIPPING: This sticky anti-slip car pad can prevents your phone, key, coins, sunglasses and other small gadgets from slipping or falling, much better convenient your daily life. FOR MOST CAR DASHBOARD: 2 sizes (10.6 x 5.9 and 5.6 x 3.3), suitable for most car dashboard use. Temperature resistant, non-magnetic, no adhesive and glue needed. MATERIAL: 2 Large ones---soft latex, 2 Small ones---silicone. WASHABLE: The car dashboard pat is washable and reusable, you can clean them with soap and water, the mats will remain sticky. 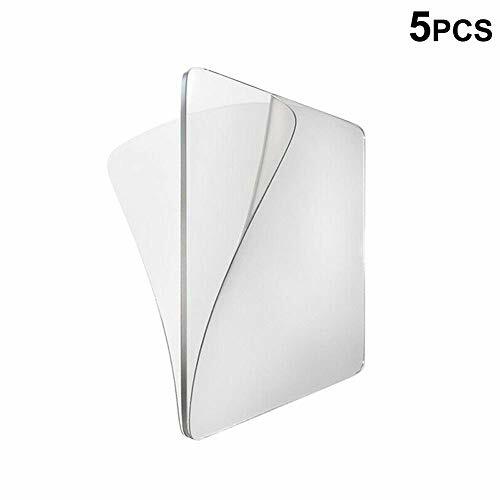 Package includes: - 5 pcs of Sticky Anti-Slip gel pad of 2.9 x 2.5 inches size Features: (1)Simple shape (2)Easy to use, move, remove and clean. (3)Reusable (4)Convenient for the any surface (5)Safe to use between 32 and 176 Fahrenheit (6)Can be washed Instructions: 1. Make sure the surface is clean and dry. 2. Remove the protective cover on the Gel Pad before use. 3. Place the Gel Pad on the surface, stick and press the Gel Pad for about 3 seconds. 4. Place the item on the gel pad, press for about 5 seconds and make sure the item is fixed properly before letting it go. Warnings: (1)Dirt or lint will reduce its fixation effect, so wash it with warm water to be clean and to restore full fixing functionality. (2)If the object is heavy or fragile, use more Gel Pads to hold your item. (3)Please do not place under the sun directly nor under heat for a long time. (4)If you are not sure whether the gel pad is suitable for the surface, you should test it out on a small area before just plopping the whole gel pad on. If you have any query, contact us right away to find our customer service and our technical support team ready to help you with all their might. don't worry about the marks appear after removing any other sticky pads, as our product is easy to move, carry and don't leave any marks. 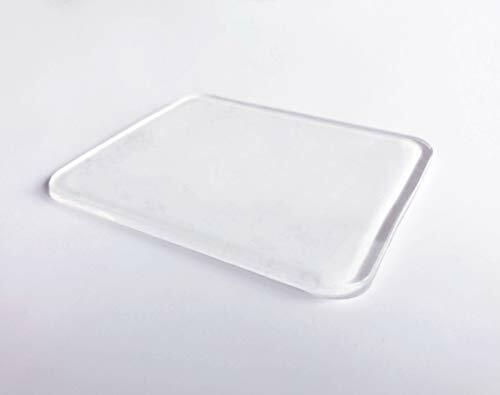 Our sticky Gel pad size is 2.9x2.5 inches (3 mm) which is great for sticking unusual shapes, and if you need to fix something big, you can use more than pad to ensure fixed effect.